Jane Austen (1775 - 1817) is a famous novelist known for her wit and observations of 19th century life. Her novels have been adapted for film and television. Outta the way Charles Darwin! It's Jane Austen's time to shine. 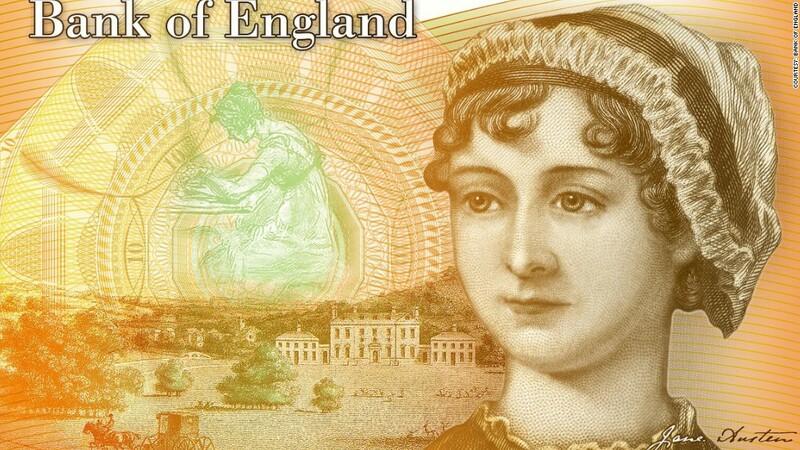 The Bank of England announced Wednesday it's updating the design of its £10 notes, replacing the face of famous evolutionary scientist Darwin with novelist Austen, who penned 'Pride and Prejudice'. "Jane Austen certainly merits a place in the select group of historical figures to appear on our banknotes," said the Bank of England governor, Mark Carney. "Her novels have an enduring and universal appeal and she is recognized as one of the greatest writers in English literature." Born in 1775 in Hampshire, England, Austen was a prolific writer known for her wit and observations of social life in the 19th century. She is considered one of the most famous Britons, and her works are required reading for students around the world. Austen joins the likes of economist Adam Smith and 19th century prison reformer Elizabeth Fry, whose faces have been featured on British banknotes. 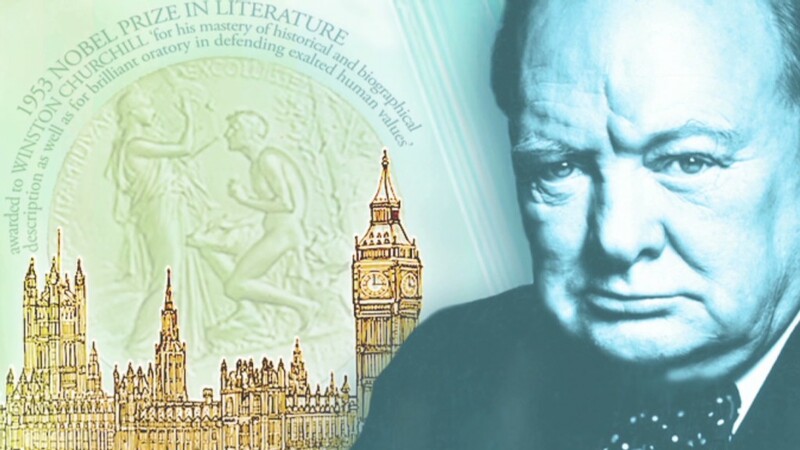 The central bank recently sparked some controversy after announcing that the face of wartime leader Winston Churchill would adorn the new £5 note starting in 2016, replacing Elizabeth Fry. That would have left all British bills dominated by male mugs. The bank was very clear that it did not intend to exclude women. "We acknowledge the concerns that have been raised recently about the diversity of characters on the notes, and would like to provide reassurance that, as part of the rolling program of note launches, it was never the Bank's intention that none of the four characters on our notes would be a woman," stated the bank in a press release. This led the Bank of England to do some soul-searching and the governor announced the central bank would conduct a formal review of the process for choosing characters to appear on banknotes. The review will help ensure the bills represent and celebrate "the full diversity of great British historical figures," he said. The central bank plans to print and distribute the new £10 bills, featuring Austen, starting in 2017. At last count, there were more than 750 million £10 bills in circulation. The Bank of England began promoting eminent Britons on the reverse side of its notes in 1970. The front is reserved for an image of the monarch.